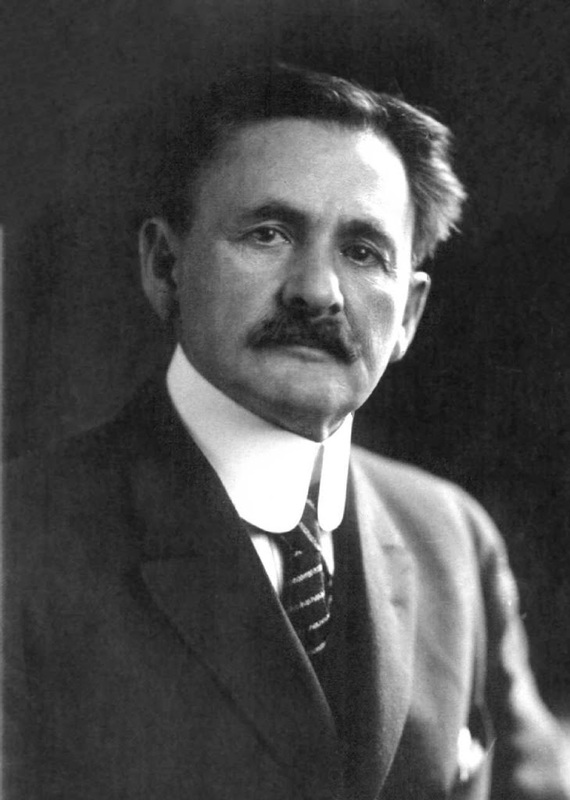 On December 19, 1859, US-american physicist Albert Abraham Michelson was born. 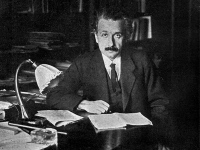 Together with his colleague Edward Williams Morley he conducted an experiment that proved the by the time famous ether theory to be wrong and is considered to be one of the pilars of the theory of relativity. Michelson was born in Strelno. His Jewish parents emigrated to the United States when he was two years old. They first settled in Virginia City and then moved to San Francisco. After his High School graduation, Michelson began studying at the United States Naval Academy in 1869 and graduated in 1873. He soon became an instructor in physics as well as chemistry, and a few years later continued his studies in Berlin, Heidelberg, and Paris. After leaving the Navy in 1883, Michelson began his academic career as a professor in physics at various universities across the United States. The speed of light is the speed at which light propagates in a vacuum. In addition to light, all other electromagnetic waves as well as gravitational waves propagate at this speed. It is a fundamental natural constant whose significance in the special and general theory of relativity goes far beyond the description of electromagnetic wave propagation. The speed of light is so high that for a long time it was assumed that the ignition of light can be perceived simultaneously everywhere. In 1676, Ole Rømer  discovered that the observed orbital time of the Jupiter moon Io fluctuated regularly depending on the distance of Jupiter from Earth. From this he correctly concluded that light propagates at a finite velocity. The value determined by him already had the correct order of magnitude, but still deviated by 30 percent from the actual value. The measuring methods used to determine the speed of light became more and more accurate in the following years. 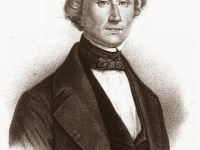 Inspired by translations of the works of Adolphe Ganot and his explanations of a universal ether, he was particularly interested in the problem of measuring the speed of light. After two years of study in Europe, he left the navy in 1881. 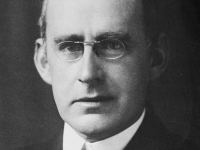 In 1883 he accepted a position as professor of physics at the Case School of Applied Science in Cleveland and concentrated on the development of an improved interferometer. Already in 1877, while he was still an officer in the US Navy, Michelson began planning to improve Léon Foucault‘s rotational mirror method for measuring the speed of light. He wanted to use improved optics and a longer distance. In 1878 he made some preliminary measurements with strongly improvised equipment. When Simon Newcomb, director of the Nautical Almanac Office, found out about Michelson’s results, he invited the young scientist to Washington D.C. and a long lasting scientific friendship evolved. Newcomb received with its better financed project a value of 299,860±30 km/s, within the measurement uncertainty consistent with Michelson’s value. In the 1920’s, Michelson began his studies on new measurements at the Mount-Wilson-Observatory in California and improved his results along with Francis Pease in 1927, but unfortunately passed away before the complete results were published in 1935. Michelson further improved his measurement method and in 1883 published a measurement of 299,853±60 km/s much closer to that of his mentor. The famous Michelson-Morley-Experiment he became best known for was performed already in 1881 during his stay in Berlin and Potsdam and repeated six years later in Cleveland. In the experiment, Michelson and Morley were to calculate the Earth’s movement in relation to the stationary ether. Physics theories of the late 19th century assumed that just as surface water waves must have an intervening substance, i.e. a “medium”, to move across, and audible sound requires a medium to transmit its wave motions (such as air or water), so light must also require a medium, the “luminiferous aether“, to transmit its wave motions. Because light can travel through a vacuum, it was assumed that even a vacuum must be filled with aether. To Michelson’s surprise the results of his experiment showed that the Earth’s movement could not me measured this way and therefore disproved the existence of the ether. This is to be seen as one of the foundations to Albert Einstein‘s theory of relativity. 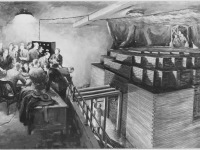 Michelson and Morley were able to carry out precise measurements of fine structure decomposition in atomic spectra with their interferometer for the first time , which was theoretically explained by Arnold Sommerfeld in 1916 and is still the subject of current research with the introduction of fine structure constants. The period after 1927 marked the beginning of new measurements of the speed of light with new optoelectronic sensors, all of which were significantly below Michelson’s 1926 level. Michelson was looking for another measurement method, but this time in an evacuated tube, to avoid difficulties in image interpretation due to atmospheric effects. In 1930 he started a collaboration with Francis G. Pease and Fred Pearson to perform measurements in a 1.6 km long tube in Pasadena. Michelson died after completing 36 of 233 measurements. The experiment was significantly affected by geological instabilities and condensation problems before the result of 299,774±11 km/s, consistent with previous optoelectronic values, was published in 1935 after his death. At yovisto academic video search, you may enjoy a video lecture on the famous Michelson-Morley Experiment and Special Relativity.